Holistic Treatment Aromatherapy is the use of essential oils, which dates back to the ancient civilisations and was re-discovered in the 1920’s. 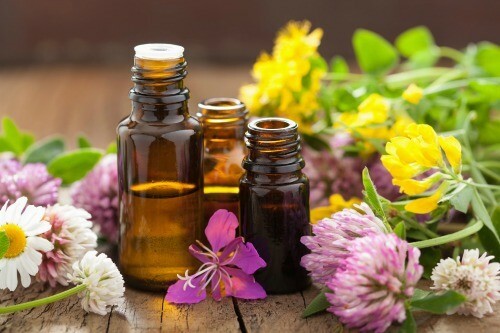 Essential oils are complex chemical compounds which are obtained from aromatic plants, roots, sap and bark and are applied via massage techniques using carrier oils, inhalation via steam, creams or bath treatments. The essential oils are chosen uniquely for each individual, looking at the person’s mind, body and spirit. They are then absorbed by the body where they target the specific area required. See our Shop for bespoke blends. Reflexology works on the principal that each organ, muscle and gland on the body is represented by a reflex point on the feet. A system of energy zones link the reflex point to the particular organ, so by applying a specific pressure to a reflex point, the function of the organ, muscle or gland can be normalised. By relaxing the body and removing toxins, the body is brought to a state of homeostasis (balance), and allows self-healing to take place. Although reflexology is usually carried out on the feet, the hands can also be worked on. Reiki is a Japanese word meaning ‘The Free Passage of Universal Life Force Energy’. As the energy is generated from the hands it is not necessary to touch the body so is beneficial for those who do not like body contact. While this treatment can help with painful conditions it also leaves the person feeling relaxed and peaceful. Reiki needs to be experienced to be appreciated. This treatment could be considered more of a beauty treatment. It does however bring about a feeling of well being, therefore it complements other therapies. Using a micro-current, it rejuvenates facial muscles and skin tone, removing and softening lines and wrinkles around the eyes, forehead, mouth, cheeks and neck area. It increases the skin’s ability to store moisture and revives skin firmness and elasticity. For the body, inch loss is only one of the many benefits that can be achieved. It tones and tightens muscles, so is very helpful in the breakdown of cellulite. It detoxifies the body and is also good for lymphatic drainage. A blend of essential oils is specially prepared to an individual’s requirement for use at home, either in the bath or in a gel to be applied. These are of great benefit to continue the self-healing process at home. Hopi ear candles can be traced back to the Indians of North and South America and Asia. They have been used traditionally by Shamen healers and this knowledge of healing and deep spirituality was brought to contemporary Europe from the Hopi people, the oldest Pueblo tribe. They are traditionally used to cleanse and harmonise but can be used successfully for many problems related to the ear.